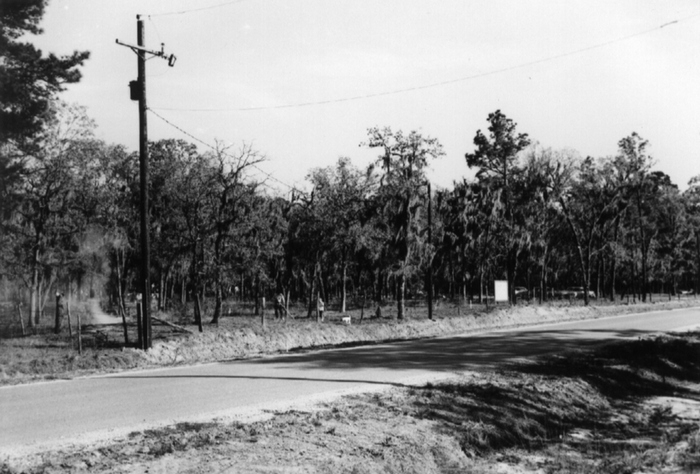 When Fair Haven began, Gessner was a dirt road, and trees covered the land to be purchased for the new church. Rev. J. Bryant Young had been appointed to organize it. Twenty-nine people gathered on Thursday, July 29, 1954 at the empty parsonage on Rosstown Way to make it official. About a week later, Bryant and his wife, Margie moved in. What was then called the “Room to Grow” program had provided an initial four and three-fourths acres of land, and the next year the young congregation purchased another two acres. 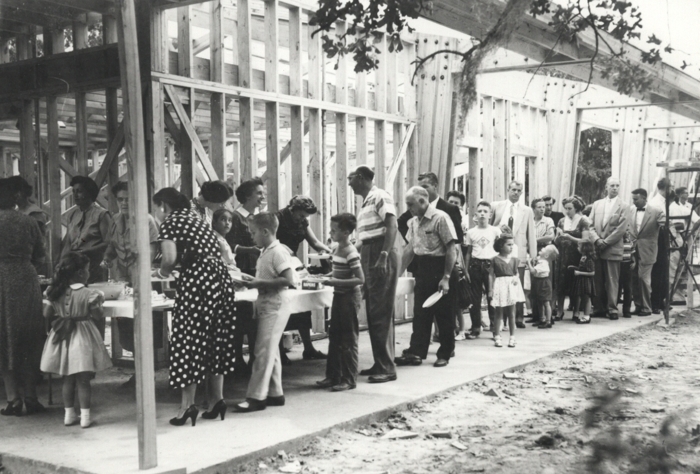 It would be a year before clearing some of the land for building could start, so worship began in Ridgecrest Elementary School on August 1, 1954 with seventy-six present. Before the month was over, forty became charter members. It was a flurry of activity in that first year. The church grew to 158 members as ministries like choirs, women’s groups and Vacation Bible School under the trees on the property was organized. 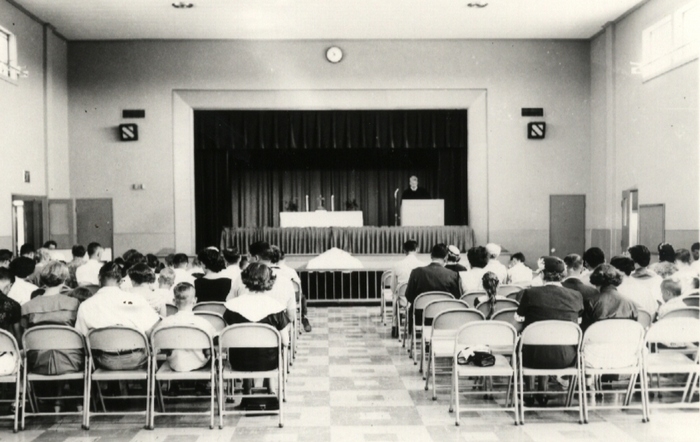 When the new Pine Shadows Elementary School was opened in October 1955, the congregation moved there to continue its services of worship. About a year later, construction on the first unit began, as church members armed with saws, axes, shovels, and lawn mowers began clearing the land enough to celebrate the laying of the corner stone and have a dinner on the grounds. The smell of burning brush and cut undergrowth was in the air. A question was also in the air. What should we name this new church? By the time the cornerstone was set in place on September 30, 1956 a name had been chosen, suggested by Margie Young: Fair Haven. The book of Acts in the Bible tells the story of a safe harbor called Fair Havens into which a boat carrying the apostle Paul sailed for safety during the stormy season on the Mediterranean Sea. Ever since, Fair Haven has been a place for boats of all sizes and shapes to dock to find faith, learn the loving ways of Jesus, and sail out again to serve others. 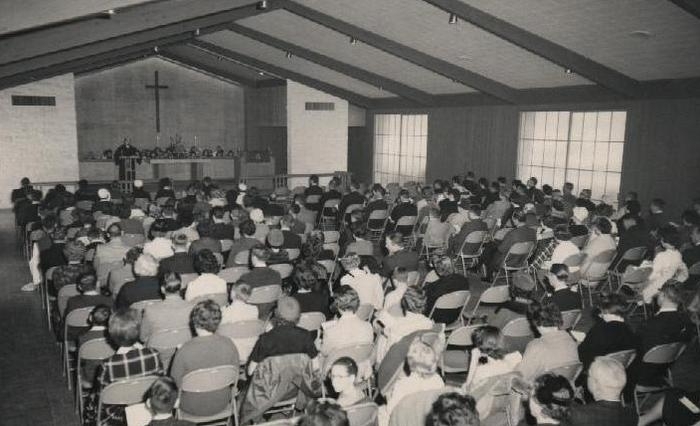 Worship began in that first facility on February 17, 1957. It provided a worship space, also used as a place for fellowship and activities, a kitchen, offices, and a few classrooms. The Texas limestone that Pastor Young worked so hard to obtain to accent the beauty of the entrance and worship area provides a backdrop for our contemporary service today. Over the last sixty years or so, the growing church spurred building programs to add more classrooms housing: an expanding Sunday School and Day School ministry; a larger sanctuary and office complex; a multi-use building called Trinity Center; a Scout Hut; a Food Pantry serving tens of thousands per year; a two story Christian Life Center in use every day to serve the community, providing a place for our worship in Spanish, and providing many settings to help those seeking to follow Jesus. In 2017, Fair Haven and Chapelwood agreed to an "adoption merger," which brought Fair Haven into the Chapelwood family of worship communities. Rev. Andy Cunningham became the pastor and preached his first sermon on Sunday, July 20. Fair Haven and Chapelwood together look forward to ministry in Spring Branch and fulfilling the church's mission: To make disciples of Jesus Christ for the transformation of the world by embodying God's grace as we receive it to those who need it.